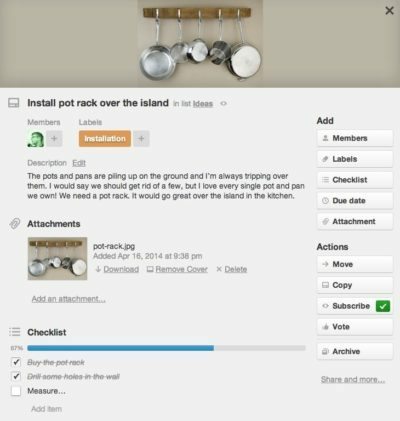 Trello is a web-based software tool that uses a Kanban approach to help you organize your projects. In this context, Kanban (pronounced “kahn-bahn”) is a system that has information on different “cards” and then organizes them on a “board”. A brief history of Trello Around the summer of 2010, Fog Creek Software starts doing regular Creek Weeks, internal explorations for potential products. In January 2011, a prototype that hopes to solve some high-level planning issues is pitched. It’s called Trellis. Full time development begins soon after. After a closed beta, Trello launches at TechCrunch Disrupt in September of 2011 with apps for the web and iPhone. In the summer of 2012, Fog Creek co-founder Joel Spolsky’s dog Taco becomes the official Trello spokes-husky. 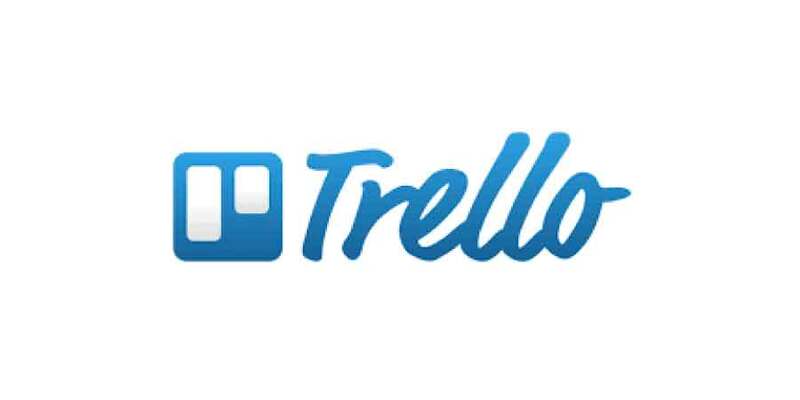 Trello reaches 500,000 members and launches the Trello Android app. In July 2014, Trello spins off from Fog Creek and becomes Trello, Inc. naming Fog Creek co-founder Michael Pryor as its CEO. The company raises $10.3 million in a Series A round of funding led by Spark Capital and Index Ventures. Trello has over 4.75 million users. This is our comprehensive Trello review! We’ll tell you everything you need to know about Trello, and decide if it is the right project management tool for you. Note: If you’re trying to find the right project management tool for you and your organization, you should take a look at our complete list of project management tools reviews. Now that we have gone over the basics, let’s take a closer look at Trello. Trello is a web-based software tool that uses a Kanban approach to help you organize your projects. In this context, Kanban (pronounced “kahn-bahn”) is a system that has information on different “cards” and then organizes them on a “board”. You can imagine it like a bulletin board with columns of index cards tacked to it. Each column represents a different stage in a process and each card represents an individual item that you’re working on. As you make progress on a card, you move it across the board. Trello lets you see everything about your project in a single glance, be it lengthy email threads, out-of-date spreadsheets, no-longer-so-sticky notes, and clunky software for managing your projects. In this screenshot, you can see Trello at work. This board is being used to track progress on a small home remodeling project. It is as simple as it gets. Four lists, Ideas, To do, Doing, Done. Each list contains different cards that can be sorted in whichever way you want, by priority, importance, date, etc. You can simple click and drag a card from one column to the next as you progress through the project. You can see in the above screenshot the types of details that you can store in each card. Add a description, add or remove members, add labels, checklists, attachments, set a due date, etc. Trello will let you keep track of the status of each card, but even more so it will let you dive into specifics. Simply click on any card to pull up it’s details. It will let you create and use as many boards as you like, with complete control over every column on each board. With this you in mind you can use it to track pretty much anything. Real-time collaboration makes it easy to share with your team. See the entire project at a glance. Fun user experience makes project management less of a chore. A really simple way to stay organized. The board/card system will make it very easy for you to understand what is going on, very intuitive and straightforward. Managing cards is simple, and that makes keeping information up to date less of a hassle comparing to other systems. Through be told, the main board allows you to see important stuff at a glance, but if you need a more detailed view on something you need to drill down which may be slightly annoying at times. There is also a feature pack call Prower-Ups. Basically it offers you a minified experience out of the box, but by using Power-Ups like calendar, card aging or voting you can get a more complete experience. Its nice to have the option to enable/disable features depending on what type of experience you are looking for. Trello excels in the collaboration department. Every team member ca open the same board at the same time, and any changes that someone made are pushed to everyone else’s screen instantly. This is an ideal tool for managing information when working with team that are dispersed geographically. Overall it is easy to pick up, intuitive and fast. Beautifully designed compare to other project management tools out there. Kanban view can be limiting with lots of data. 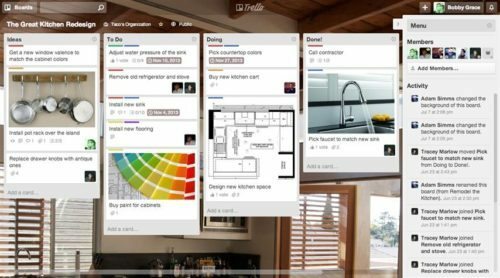 Trello wins big on user experience, but a project management software is meant to be a tool, not a toy. To make the product as straightforward as possible the development team seems to have skipped some functionality that many businesses require. For example it is good at tracking high-level project information but when it comes to individual tasks or low-level details it has some difficulties. This poses some problems and if your team members need to track their individual work than you’ll have to use something else. As far as we can tell there is no good way to see everything you are supposed to work on in one place at the same time, so you can prioritize your work and effort. Imagine you are working on 2 different projects and you have tasks assigned to you from both projects, you can’t see those tasks in one place, you will have to go inside each project to obtain that information. There is no calendar view to see milestones, and no good way to filter information by user. For you to successfully manage your day to day tasks you will need an additional solution. Overall Trello has its strengths, but keep in mind that it wont work as a complete solution for most teams. The Kanban approach can be very limiting as well. It is very good when working with a small number of cards but if you have tons of cards and more than 7-10 columns, than it becomes rather difficult to manage that information. If you want to separate high-level planning from individual tasks details, than yes, Trello is a great product. Remember, it should not be your only project management tool. You will need something else that lets users keep track of their work on individual tasks. Ideally there should be a tool that handles both high-level and low-level planning at once but we don’t know if any that truly do that. There are many companies out there that use Trello, and they take advantage of its flexibility and strengths as a product. If you find something that peaks your interest give Trello a try as it is free for individual users. You can get some interesting perks (business-grade administrative controls and security, more control over boards, restricting invites to email domains, deactivate members without losing their work and history) if you register as a business but it cost 3.75/user/month. Please leave us your comments below on this Trello Review, and be sure to check our complete list of project management tools reviews.